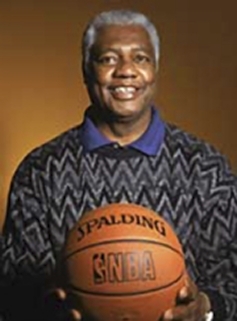 Basketball legend, Oscar Robertson was born on November 24, 1938 in Charlotte, Tennessee. 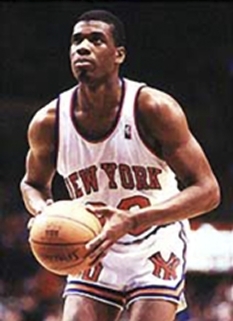 He is a former NBA point guard with the Cincinnati Royals and the Milwaukee Bucks. Robertson's nickname was "The Big O". 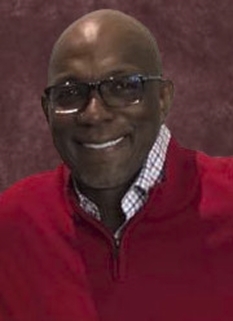 Robertson played the shooting guard/point guard position, and was a twelve-time All-Star, eleven-time member of the All-NBA Team, and one-time winner of the MVP award in fourteen professional seasons. He is the only player in NBA history to average a triple-double for an entire season, and he is regarded as one of the best and most versatile NBA players of all time. 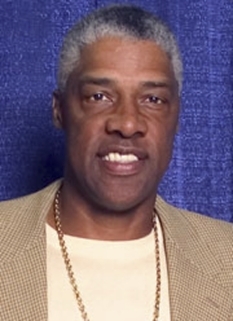 Robertson was a key player on the team which brought the Bucks their only NBA championship in the 1970-71 NBA season. However, his playing career, especially during high school and college, was plagued by racism. Oscar Robertson is regarded as one of the greatest players in NBA history, a triple threat who could score inside, outside and also was a stellar playmaker. His rookie scoring average of 30.5 points per game is the third highest of any rookie in NBA history, and Robertson averaged more than 30 points per game in six of his first seven seasons. Only two other players in the NBA have had more 30+ point per game seasons in their career. Robertson was the first player to average more than 10 assists per game, doing so at a time when the criteria for assists were more stringent than today. Furthermore, Robertson is the only guard in NBA history to ever average more than 10 rebounds per game, doing so three times. In addition to his 1964 regular season MVP award, Robertson won three All-Star Game MVPs in his career (in 1961, 1964, and 1969). He has the all-time highest scoring average in the All-Star Game for players participating in four or more games (the league standard for the record) at 20.5 points per game. He ended his career with 26,710 points (25.7 per game, ninth-highest all time), 9,887 assists (9.5 per game) and 7,804 rebounds (7.5 per game). 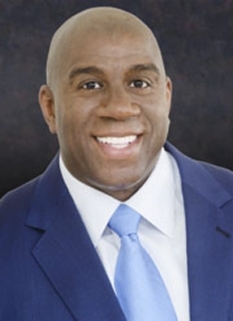 He led the league in assists six times, and at the time of his retirement, he was the NBA's all-time leader in career assists and free throws made, and was the second all-time leading scorer behind the legendary Wilt Chamberlain. Oscar Robertson also set yardsticks in versatility. If his first five seasons are strung together, Robertson averaged a triple-double over these 400+ games, averaging an incredible 30.3 points, 10.4 rebounds and 10.6 assists. For his career, Robertson had 181 triple-doubles, a record that has never been approached. These numbers are even more astonishing if it is taken into account that the three-point shot did not exist when he played, which was introduced by the NBA in the 1979-80 season and benefits sharpshooting backcourt players. In 1967-68, Oscar Robertson also became the first of only two players in NBA history to lead the league in both scoring average and assists per game in the same season (also achieved by Nate Archibald). The official scoring and assist titles went to other players that season, however, because the NBA based the titles on point and assist totals (not averages) prior to the 1969-70 season. 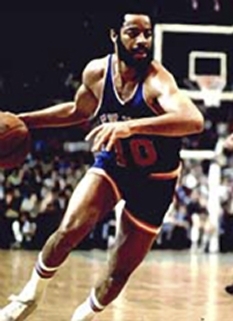 Robertson did, however, win a total of six NBA assist titles during his career. 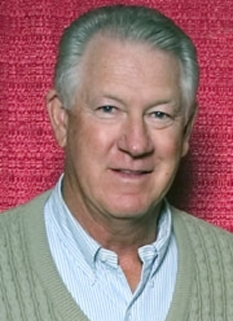 For his career, Robertson shot a high .485 field goal average and led the league in free-throw percentage twice — in the 1963-64 and 1967-68 seasons. Oscar Robertson is recognized by the NBA as the first legitimate "big guard”, paving the way for other over-sized backcourt players like Magic Johnson.Furthermore, he is also credited to have invented the head fake and the fadeaway jump shot, a shot which Michael Jordan later became famous for. For the Cincinnati Royals, now relocated and named the Sacramento Kings, he scored 22,009 points and 7,731 assists, and is all-time leader in both statistics for the combined Royals / Kings teams. Oscar Robertson was enshrined in the Basketball Hall of Fame on April 28, 1980. He received the "Player of the Century" award by the National Association of Basketball Coaches in 2000 and was ranked third on SLAM Magazine's Top 75 NBA Players in 2003, behind fellow NBA legends Michael Jordan and Wilt Chamberlain. Furthermore, in 2006, ESPN named Robertson the second greatest point guard of all time, praising him as the best post-up guard of all time and placing him only behind Los Angeles Lakers legend Magic Johnson. In 1959, the Player of the Year Award was established to recognize the best college basketball player of the year by the United States Basketball Writers Association. Five nominees are presented and the individual with the most votes receives the award during the NCAA Final Four. In 1998, it was renamed the Oscar Robertson Trophy in honor of the player who won the first two awards because of his outstanding career and his continuing efforts to promote the game of basketball. In 2004, an 18” bronze statue of Robertson was sculpted by world-renowned sculptor Harry Weber. DISCLAIMER: PFP Sports Talent Agency does not claim to represent itself as the exclusive agent for Oscar Robertson. PFP Sports Talent Agency is a booking agency that represents organizations seeking to hire pro athletes and sports personalities such as Oscar Robertson for speaking engagements, personal appearances, product endorsements and corporate entertainment. Fees on this website are estimates and are intended only as a guideline. Exact fees are determined by a number of factors, including the location of event, the talent’s schedule, requested duties and supply and demand. PFP Sports Talent Agency makes no guarantees to the accuracy of information found on this website and does not warrant that any information or representations contained on this website will be accurate or free from errors. We are often asked how can I find out who is Oscar Robertson's agent? To find Oscar Robertson appearance fees and booking agent details, you can contact the agent, representative or manager through PFP Sports Talent Agency for speaking fee costs and availability. PFP Sports Talent Agency can help your company choose the ideal sports personality for your next marketing campaign. To hire Oscar Robertson for an appearance, speaking event or endorsement, contact Oscar Robertson's booking agent for more information.